This entry was posted on January 24, 2018 by Cole Quinnell. 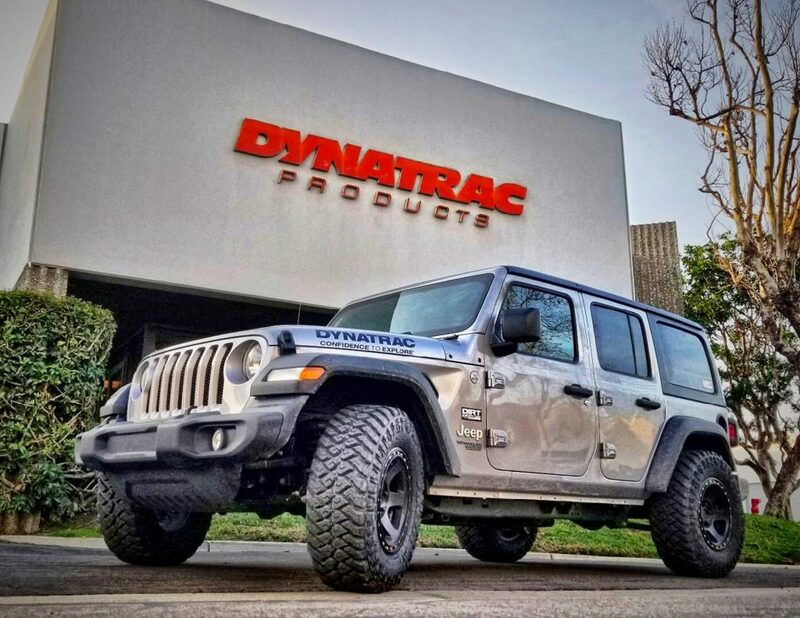 We are proud to introduce you to the Dynatrac CODE1 2018 Jeep Wrangler JL project. The concept for this vehicle was to create an iconic overlanding vehicle that is extremely capable as a rock crawler. We wanted to set the bar extremely high, using 42-inch tall Maxxis tires and changing the body from a 4-door to create a long-wheelbase, 2-door with lots of cargo space behind the front seats. To make the project even more challenging, we built it in just eight days! The idea for this build started with Tony Carvallo, who now works for us at Dynatrac, and Fred Williams at Dirt Every Day. Before Tony joined Dynatrac, he worked at FCA as the Product Planner for the JL. They wanted to be the first to build a JL on 42s, and the vision for this build evolved over time. When Tony joined the Dynatrac team in the fall of 2017, the idea turned into a plan. And Dirt Every Day captured the build on video for an episode that will be available on Motor Trend on Demand starting April 2, 2018. We named this JL CODE1, and we set out to achieve as many firsts as possible with a JL. We were one of the first customers to buy a JL. We were the first company other than FCA to tear one apart. 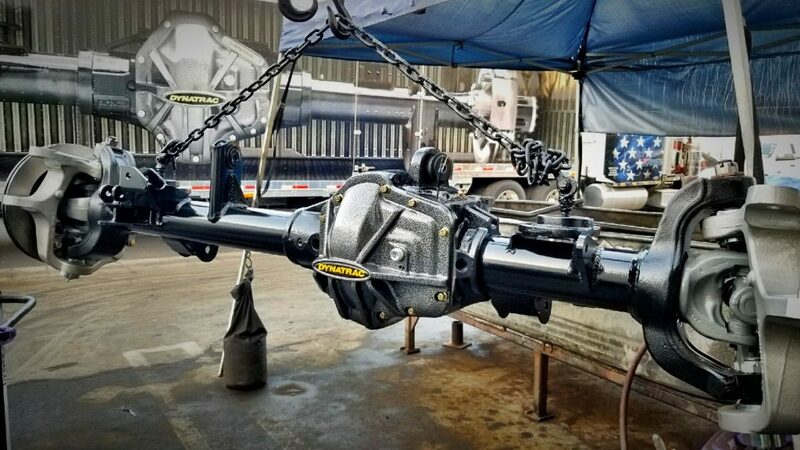 The first to install aftermarket axles (Dynatrac ProRock axles, of course). 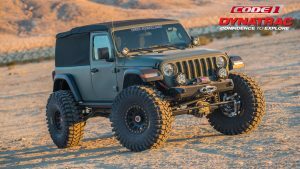 The first to build a JL on 42-inch tall tires. And the first to build a modified Jeep on the all-new JL platform. The coordination with the film crew schedule for Dirt Every Day meant that we had eight days to build the entire vehicle. 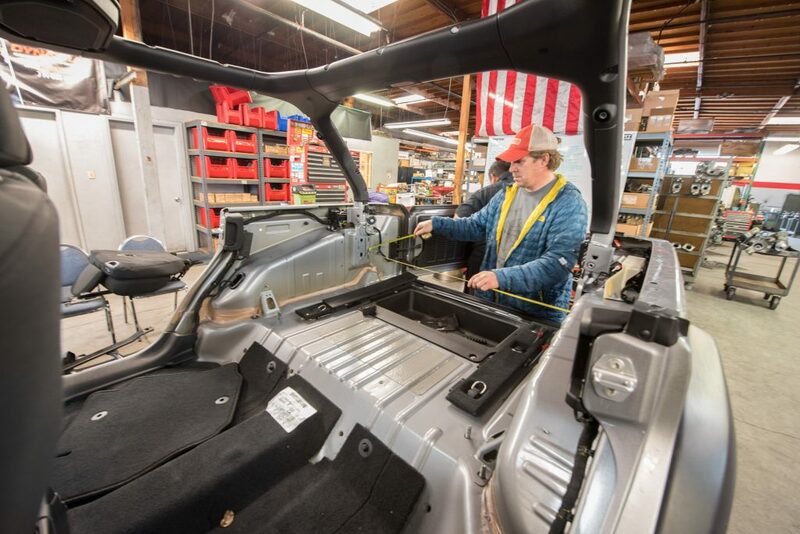 So as soon as we had the vehicle in our Huntington Beach, California, facility, we started disassembling the vehicle and evolving it into CODE1. The Dirt Every Day team also brought some new companies to the build, as they selected Maxxis Tire, Method Race Wheel and FOX Shocks on board. Before we dive into the photos, if you love CODE1 as much as we do, you can download a CODE1 desktop or phone background image. You'll find more info at the bottom of this page. This is the 2018 Jeep Wrangler Unlimited that we started with. It’s a Sport model with the 3.6L Pentastar V6 and the new 8-speed automatic transmission. 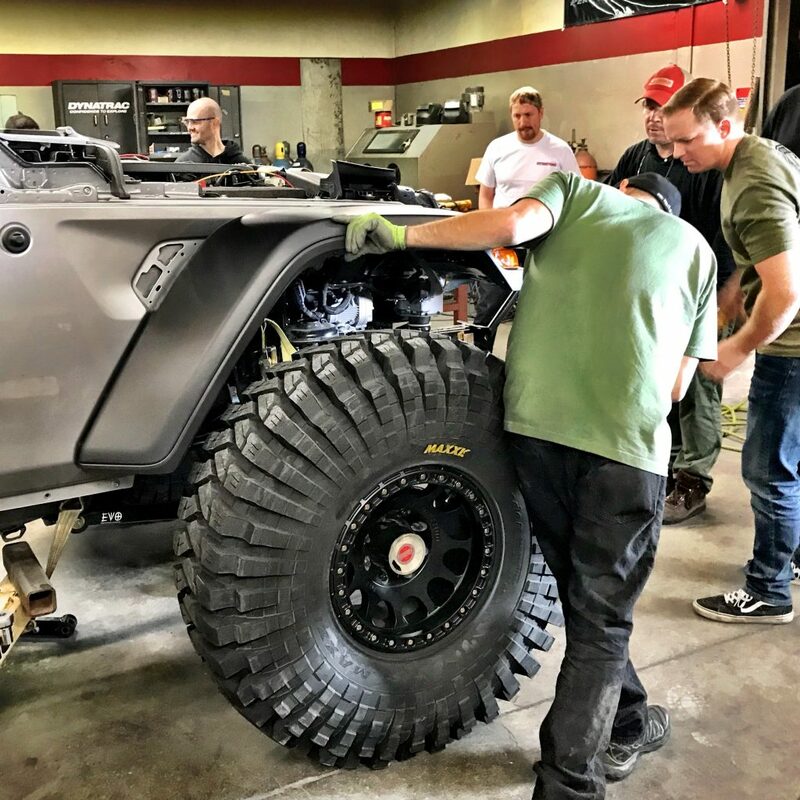 Before we started our drive to California from Dave Dennis Chrysler Jeep Dodge Ram in Dayton, Ohio, we installed 33-inch Maxxix mud-terrain tires on Method Racing Wheels. As with most builds, the first step is to remove a whole lot of components. For us, that included the factory front and rear axles. 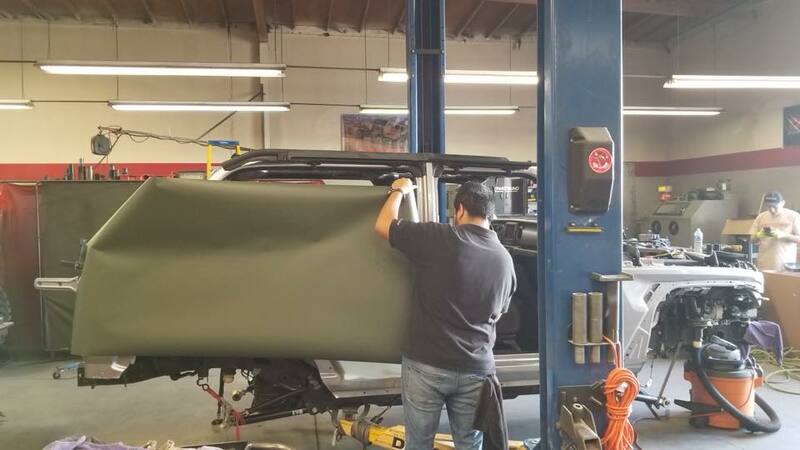 To accomplish our conversion from 4-door to 2-door, we removed the factory hard top and rear doors. 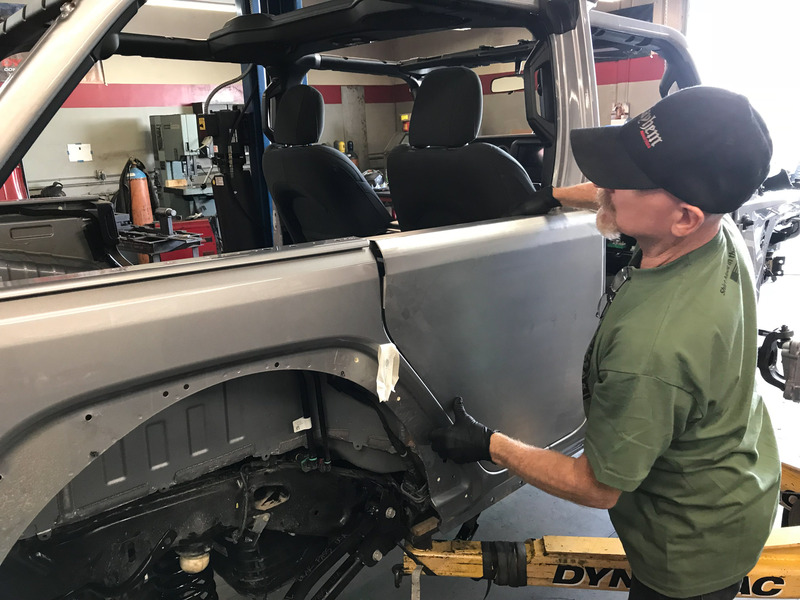 We had a great local bodyman form metal fill panels for the rear-door openings, and we used a custom Bestop softop to complete the long-wheelbase, 2-door look. We really like the “sport bar” design in the new JL. The windshield pillars provide safety and a natural look with the windshield folded down or removed, and at the rear, the down bars provide more head clearance for backseat passengers and a nice look. We’re deleting the backseat and back doors, so this isn’t as critical for us, but it still looks nice. Fred Williams measured the rear cargo section and we briefly considered mounting the spare tire here. We will add a Goose-Gear slide-in storage system and Hans PowerPack 300 portable power and solar generator in the cargo area. We mocked up an EVO Manufacturing front bumper and winch mount, along with a Warn ZEON 10-S winch into. 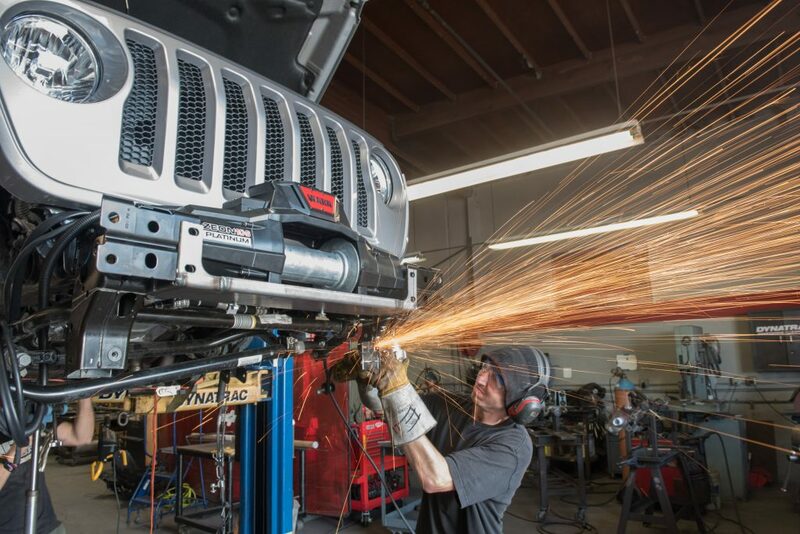 The bumper is the EVO design that they are famous for, cleaning up the front of the Jeep, improving the approach angle and providing sturdy D-ring-mount locations. 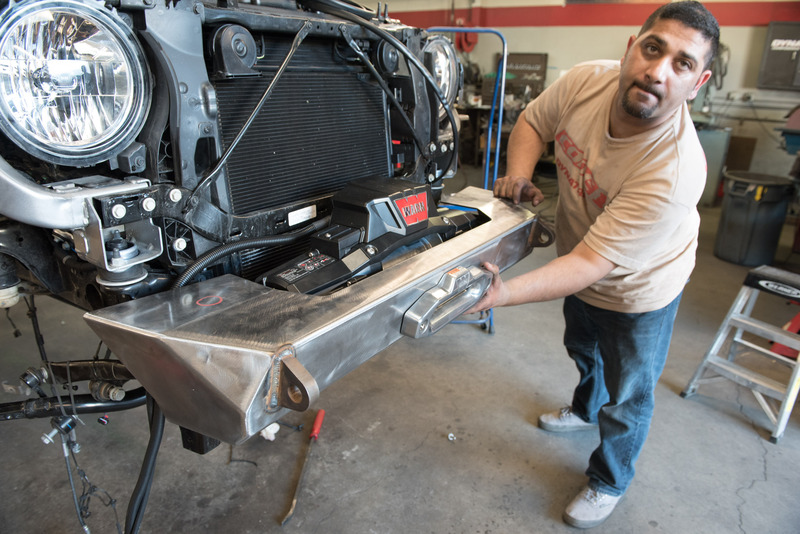 This was as prototype bumper…once we verified the fitment, we painted it black. Production bumpers should be available now from EVO. The Warn Zeon winch fits nicely in the JL and will haven plenty of pulling power along with good speed. This model has remote control. The 42-inch tall Maxxis Trepedor tires are relatively skinny at 14.50 inches. Here we are doing our first mockup to get a rough idea of the look with the massive tires. Here’s a view of the bumper, winch and Baja Design LP9 off-road LED lights assembled. These large LED lights are extremely bright and they feature a low-beam and high-beam function, and they also have side lights for very broad coverage. Below and behind the factory bumper, there are two downward frame extensions. We cut these off to maximize the approach angle and for proper bumper fitment. Ely, one of our expert welders, took a break from welding ProRock axle assemblies to make and weld plates in place to cover where the extensions were cut off. The Jeep JL is wider than a JK, and the factory axles are wider too. In fact, the JL Rubicon axle is wider than axles used under other JL models. Our Dynatrac ProRock XD60 and ProRock 80 axle sets for these Jeeps will be 72.5 inches wide. Here is our ProRock XD60 front axle housing being installed for the first time for fitment. Here is a look at the fill panels our local bodyman, Nick Decredico from Jas Custom Street Rods, fabricated to close the rear door openings. He had to mimic the curve of the body and the body lines near the top. He also fabricated a separate railing that will hold the forward part of the custom Bestop softop that we’ll install later this week. Watching him massage the metal and trim it was amazing. A true craftsman! 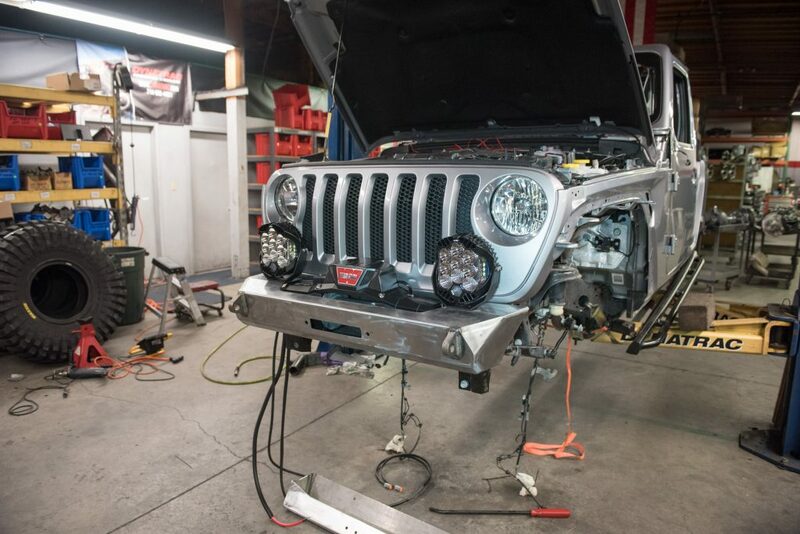 We used the first EVO Manufacturing 4-inch Extreme Overlanding suspension system for a JL on our CODE1 build. The suspension uses adjustable front and rear control arms with swivel joints at each end. This let us position the rear axle in an ideal location, and will allow for very good suspension travel and articulation. Here, we double-checked the suspension bracket positions and pinion angle. After this, the ProRock 80 rear axle was moved into final welding and assembly. We used MOPAR High Top fenders to give us a couple of additional inches of tire clearance. This retain the factory look and, in fact, look like the flares that come on the new JL Rubicon. This is the complete Dynatrac ProRock XD60 axle for the CODE1. This uses our 1550LT wheel ends which significantly reduce wheel scrub, making it much easier to steer and reducing the stress on all of the steering components. 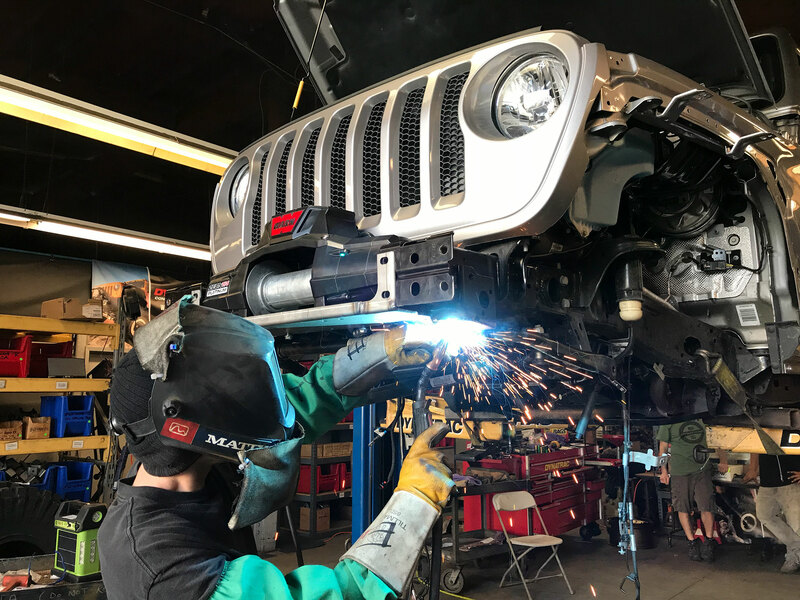 That’s one of the ways that we’re able to steer big tires on this JL while retaining the factory electric power-steering pump and factory box. We decided to change the color of our JL. This did two things, it created unique color that no one else will have (at least until someone copies what we did), and it saved time in the final bodywork for the rear-door fill panels. 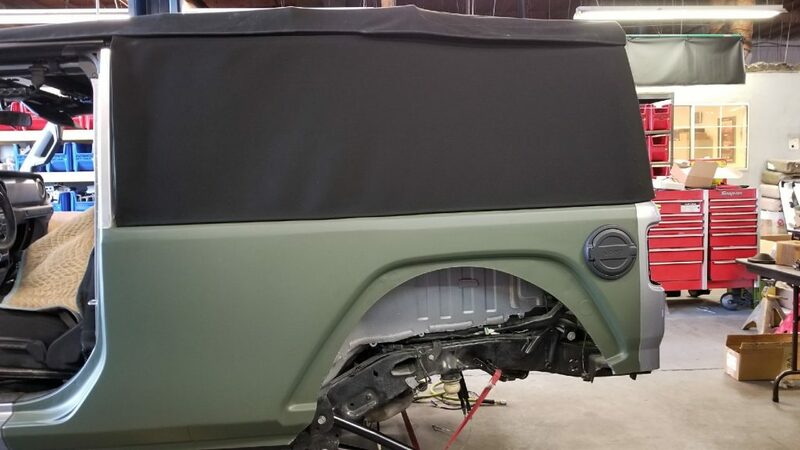 We chose a Matte Military Green vinyl wrap to do a relatively quick, complete color change. Bestop created a custom a softop for CODE1. The black top uses factory JL framework and top, but has solid zip-out side panels that go the full length of the rear section. The sides can be rolled or removed completely. 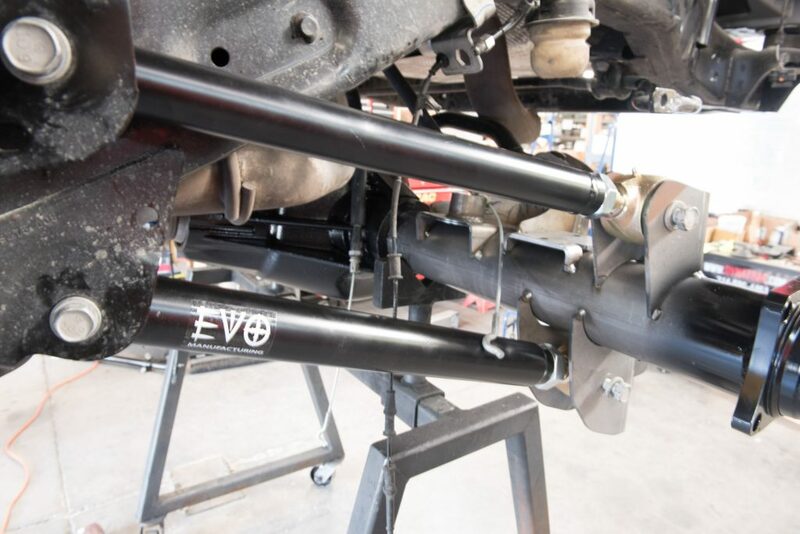 The EVO Extreme Overlander suspension for JLs is available in 2-inch and 4-inch lifts. We opted for the 4-inch lift to clear 42-inch tires. 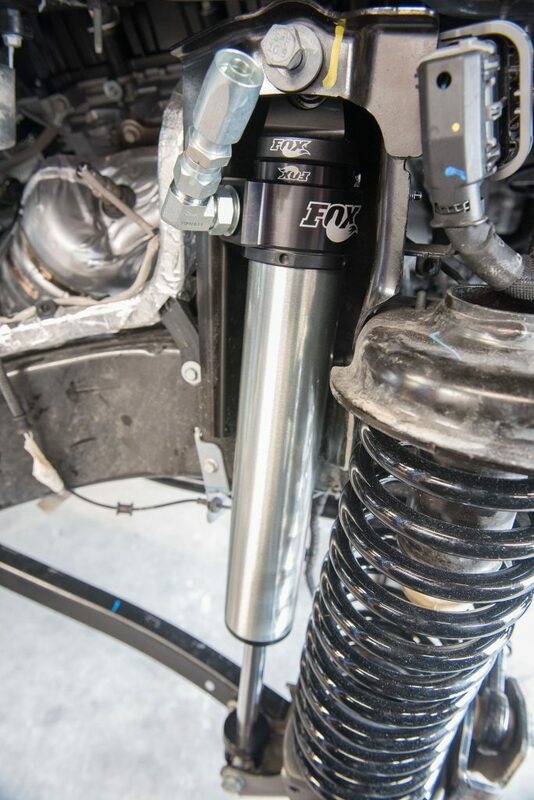 We also chose to run FOX shocks. This one was used for mockup, but the units we installed in the Jeep have remote reservoirs. The whole package fit pretty well, but needed fine tuning before we could hit the trails. We used a forklift to flex the suspension and found that we needed to trim the flares for tire clearance. Obviously, this wouldn’t be necessary if we were running tires shorter than 42 inches with this suspension and these flares, but we wanted to push the limits with this build. Flare trimming was minor and kept the factory look that we really like from the MOPAR flares. At the rear, we had to trim the pinch seams near at the front and rear of the wheel openings as well as the flares. 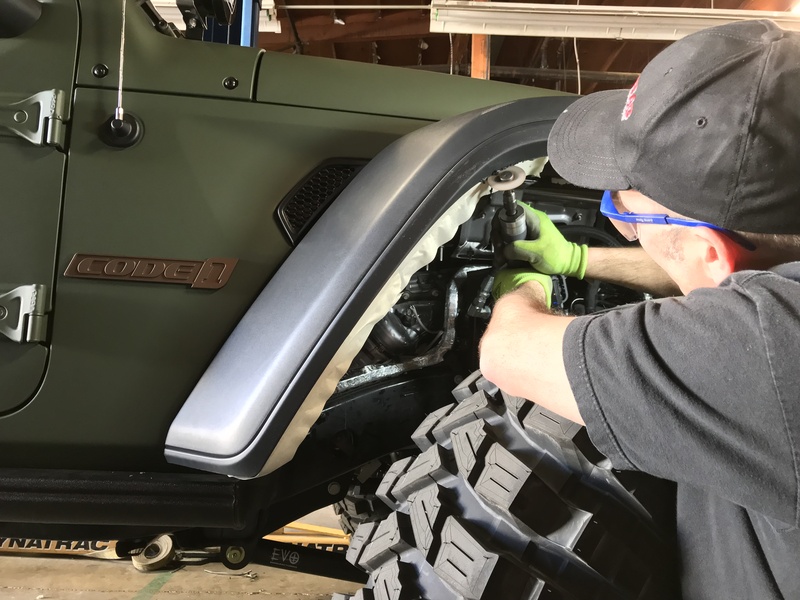 The team at EVO Manufacturing customized their new JL back bumper for us, cutting the vehicle name, CODE1, and Dynatrac into the bumper. Immediately after finishing the 8-day build on CODE1, we headed out to Johnson Valley to try it off road and to work with the Dirt Every Day video crew. This Jeep JL came out the way we envisioned it. The 17 x 9 inch Matte Black 105 Beadlock Wheels from Method Race Wheels are a great visual match with our black bumpers, flares and softop. And the performance off-road surprised us. We expected the vehicle to do well, but with the short build time limited testing of the suspension, we thought we might run into limitations. 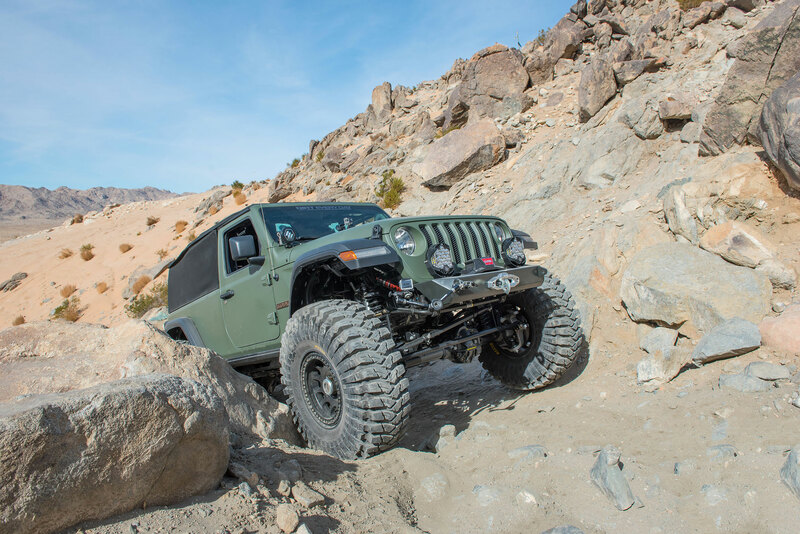 The height and sticky compound of the Maxxis Trepador tires, combined with the ground clearance of the ProRock axles, gave us lots of room under the vehicle to crawl over huge rocks. 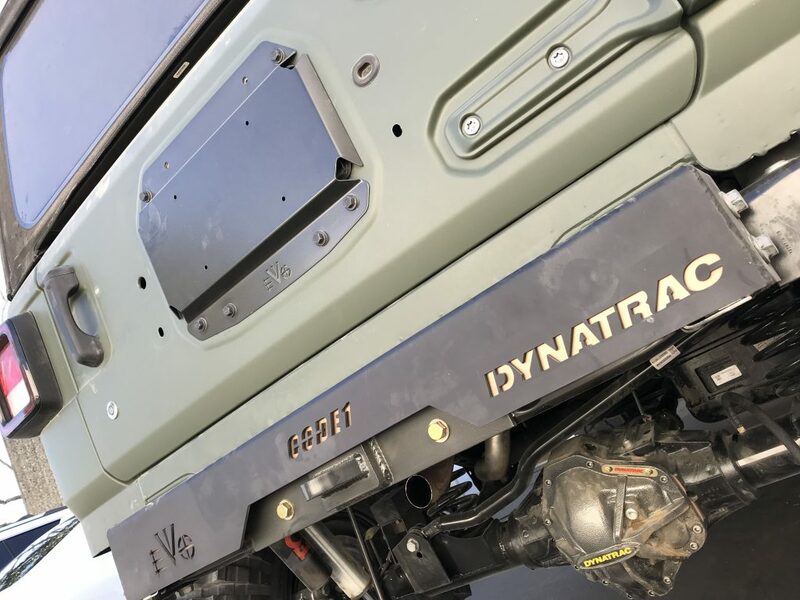 The electric power steering pump delivered plenty of pressure, and with the Dynatrac 1550LT wheel ends, were able to steer the Jeep fine on the challenging trails we conquered on the maiden voyage. 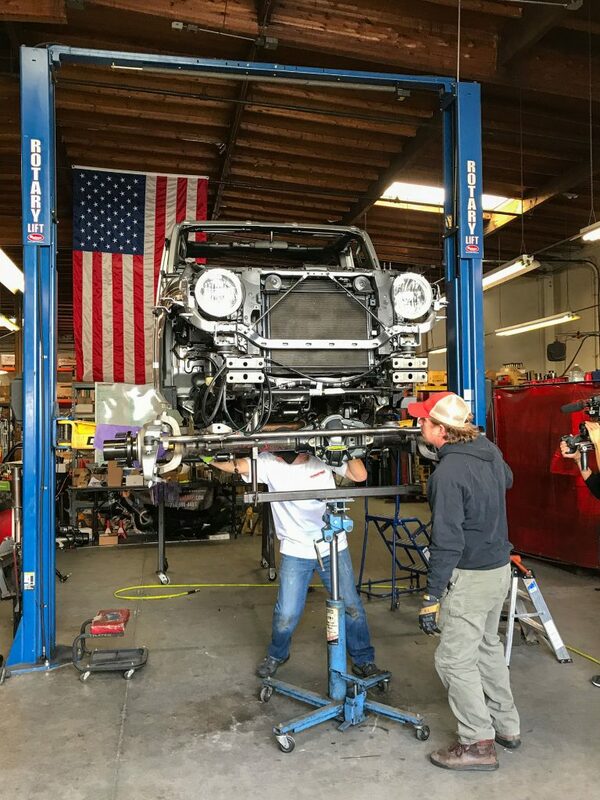 Now that the build for Dirt Every Day is complete, we’ll come back and tune the suspension for more down travel with the front swaybar disconnected. We’ll also finish outfitting it with Goose-Gear and Hans Powernet equipment to complete the overlanding functionality. We are beyond satisfied with the way the vehicle turned out and the way it performed on the trails in Johnson Valley. We’re very proud of the team who came together to build CODE1 in such a short time. We also want to thank our employees who came in on weekends and wrenched on the vehicle late after working hours to get it done! We also want to thank Fred Williams and the whole Dirt Every Day team for working with us on this project. Want to save CODE1 as your computer or phone desktop background? We'll offer more downloadable images soon, so come back and to see what's new!